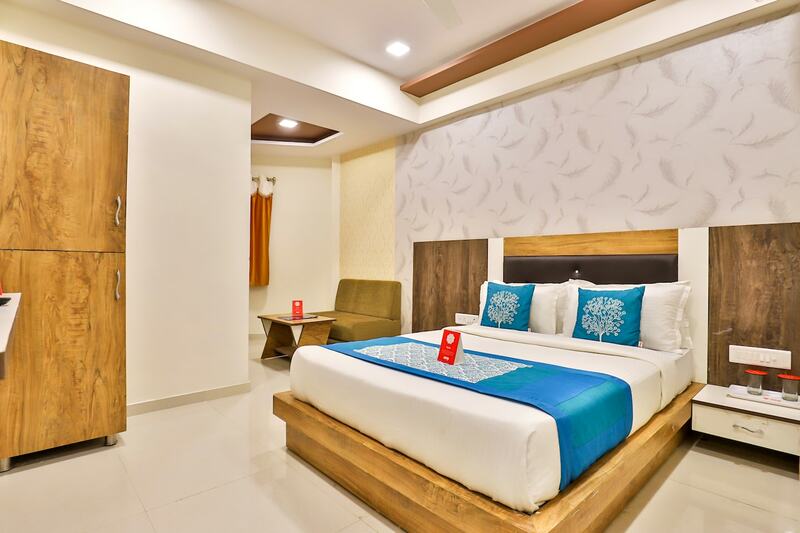 Hotel Galaxy looks stylish from outside and provides a pleasant stay for those coming to Ahmedabad. The stay is exactly the same that a guest would imagine it to be. The rooms have minimal furniture of unique fashion. The decor is simple and neat with textured walls. Vibrant colours add to the charm of the rooms. The cushioned headboard adds to the comfort of the guests. The residents can avail the free wifi services to connect with their friends and family. The hotel has several CCTV cameras for security. There are many restaurants located in the vicinity of the place. This is a safe, accessible and pocket friendly option for tourists.